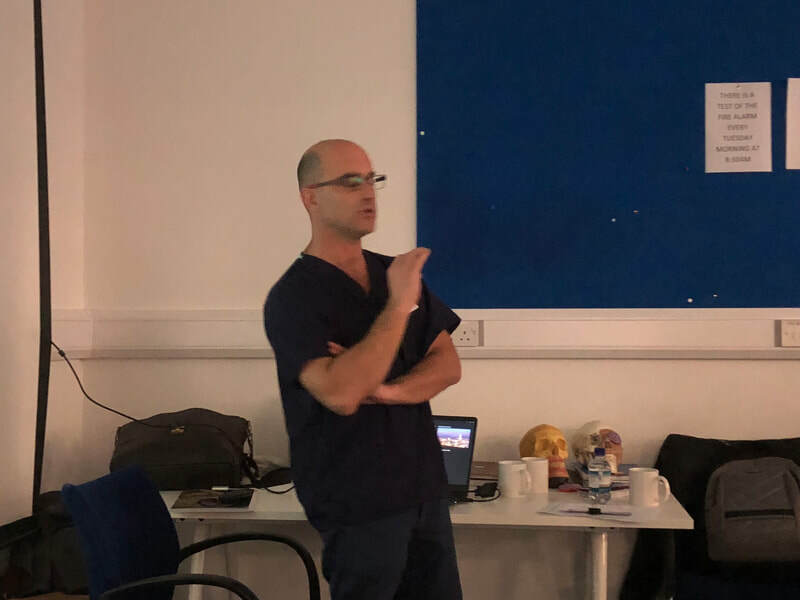 The Zygomatic Implant Oncology Course will be held at the Manchester Surgical Simulation Centre in the heart of Manchester. The Surgical Simulation Centre is a state of the art facility for fresh-frozen cadaveric training courses and has space for 9 dissecting stations with 2 delegates per station. There are high quality video and protection facilities and an associated lecture room. Only fresh-frozen cadaveric tissue is used a this facility – now considered the gold standard for surgical training – to give delegates as realistic an experience as possible and allow them to practice complex procedures in a safe and realistic environment. The Centre is part of the internationally renowned University of Manchester and has close links to both the University’s Faculty of Biology, Medicine and Health and the Central Manchester NHS Trust. This allows us to offer training courses that expertly combine academic theory and medical practice. Manchester Airport is only 20 minutes drive away from central manchester where the surgical simulation centre is located and can be easily reached inexpensively by Taxi or Train. Manchester is served with excellent rail links from all the major cities in the UK and from London within 2.5 hours. The surgical simulation centre is within a 25 minute walk or 5 minute taxi ride from Manchester Piccadilly Train Station. Excellent road links to manchester are available via M60 and M56 motorways although at busy times traffic in central manchester can be heavy. Correct change is required for payment machines. Accommodation is not included in the course fee but the following accommodation is available nearby. 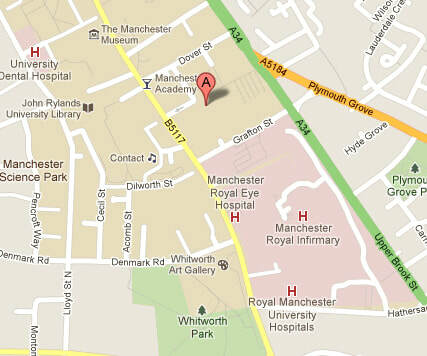 ​Many other hotels are also available in Manchester to suit any budget. good balance between didactic lectures and practical sessions. The informal small group style with plenty of interaction with faculty. Really good to do as a team of OMFS surgeon and Restorative Dentist. Honest & knowledgeable faculty happy to discuss practical steps. 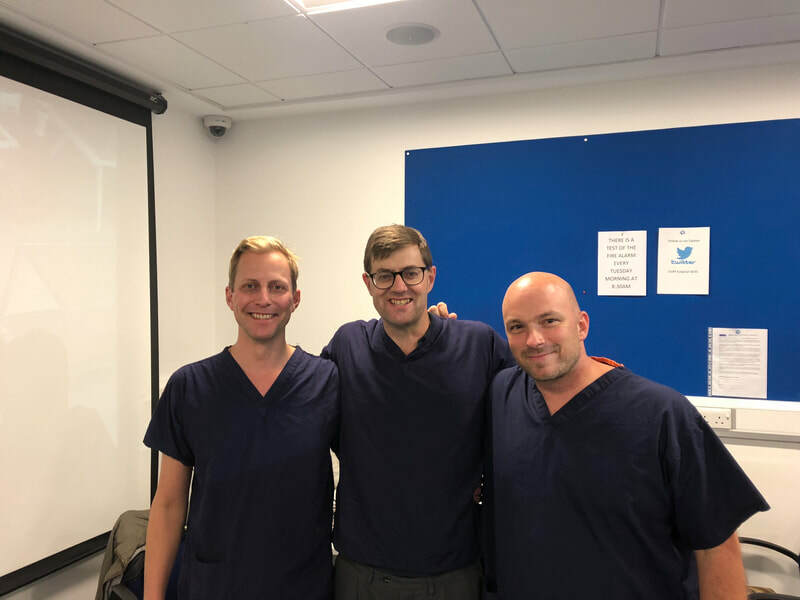 100% of our November 2018 course delegates stated that the course would definitely change their clinical practice.